Enjoy the great cocktails at our pool bar, especially between 3 pm and 6.30 pm. The sparkling clean salt water treated pool is open 24 hours a day! 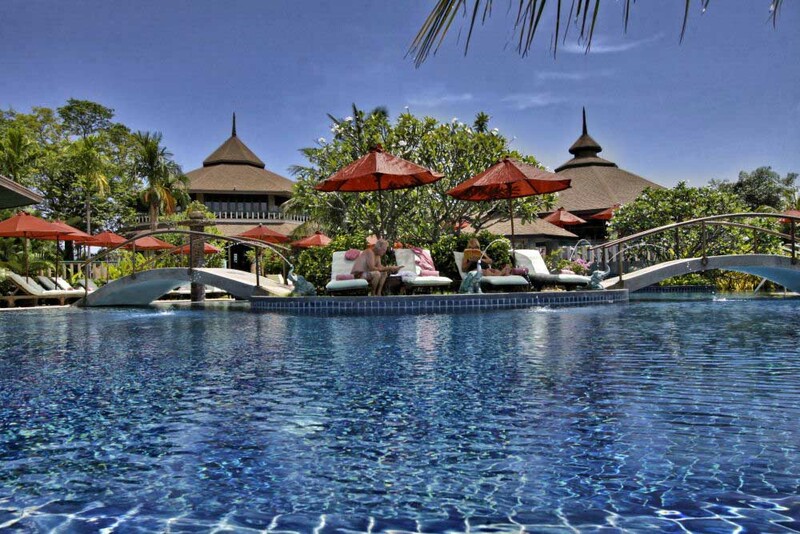 Chilled drinks and cocktails around a great pool! The Pool Bar, partially integrated into the swimming pool, is open from the morning until 11 pm and became one of the most popular features in the resort. Especially popular afternoons 3 pm until 6.30 pm, where a selection of drinks is offered at special prices. 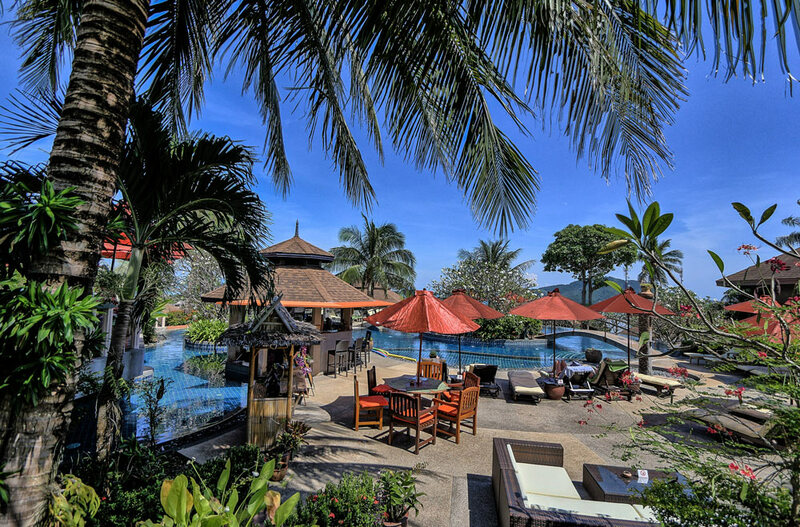 Enjoy a fresh coconut or a beautiful alcohol free cocktail, soft drinks, beers, wines and cocktails in or around the pool. 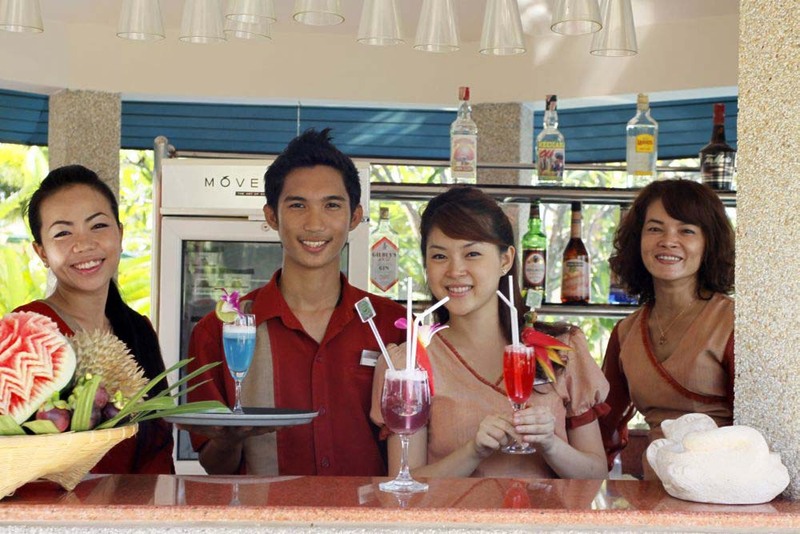 Meet other guests and enjoy our special cocktails, mixed with ingredients like Chalong Bay Rum, adding a great taste and special feel to them. 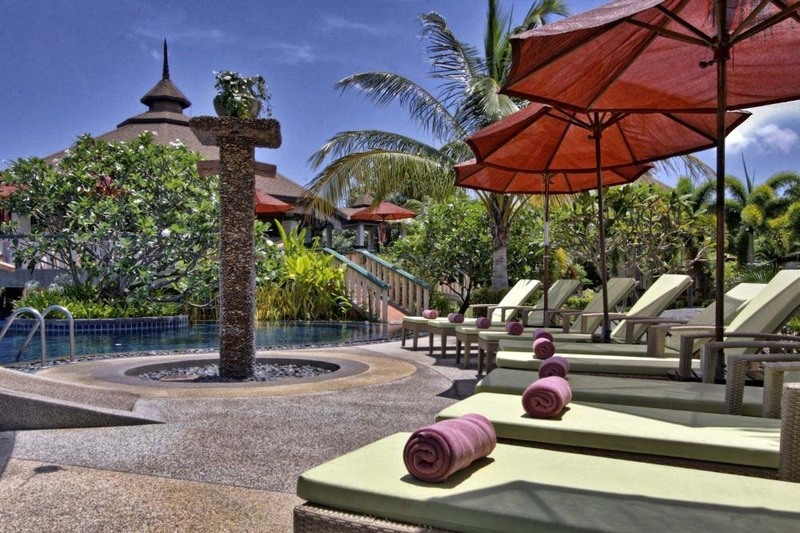 The Pool Bar and Lounge are great for chillaxing and watching the sun go down. Our full food menu is available all day long for orders around our magnificent swimming pool, plus a special snack menu, ideal to enjoy around the pool. There are tables setup in a shady area for a casual atmosphere during lunch. The pool water is treated naturally, the only ingredient added is salt, which means you can be in the pool for hours without ever getting red eyes or any odor from chlorine. Sparkling clean and soft feeling water makes you “not want to leave”. After dinner, starting 8.30 pm, join “The Dark Side” and sample special cocktails not normally available during daytime. Attractive prices combined with romantic atmosphere, our great pool bar team and good music will keep you awake.